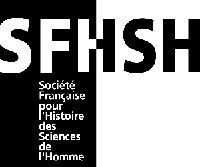 The French Society for the History of Human Sciences (SFHSH) launches the second SFHSH Meeting. Founded in 1986, the SFHSH has organized several research meetings in history and epistemology of human and social sciences and has published many collective books on the subject (for example, Claude Blanckaert, Laurent Loty, Marc Renneville, Nathalie Richard, Loïc Blondiaux (dir. ), L’Histoire des sciences de l’homme. Trajectoires, enjeux et questions vives, Paris, L’Harmattan, 1999; Jacqueline Carroy Nathalie Richard François Vatin (dir. ), L’Homme des sciences de l’homme. Une histoire transdisciplinaire, Nanterre, Presses universitaires de Paris Ouest, 2013). In 2015, the Society decided to organize general meetings, opened to all researchers in the field, on a regular basis. The first edition took place in November 2015, in Paris, and gathered approximately 50 participants. Numerous research, often isolated, focus on the history of human and social sciences. In France, a learned society (Société Française pour l’Histoire des Sciences de l’Homme, SFHSH) and a journal (Revue d’histoire des sciences humaines) have been created in order to structure this research field. Their common objective was to give a real intellectual significance to the field and to open new directions in research, often at the crossroads between several disciplines within contemporary social sciences. The second SFHSH meeting aims at enhancing the visibility of research in the field and at fostering discussions and new collaborations between young and more senior researchers, who often work in different institutions, within different academic domains. During the discussions, new objects and new issues are likely to emerge, and former ones will undoubtedly be questioned through new approaches. – Uses and applications. “Science for action”. – Boundary issues: art, literature, natural science, etc. – Practice, methods, material culture. Symposium proposals (3 to 5 participants) must include a general presentation (approximately one page, with a short bibliography and a few lines presenting the organizer) and an abstract for each paper (approximately one page, with a short bibliography and a few lines presenting the author). Proposals for independent papers should consist in an abstract of approximately one page, with a short bibliography and a few lines presenting the author. The Scientific Committee of the conference is the Executive Board of SFHSH. Proposals will be reviewed in April 2018 and results will be communicated early May 2018.